Welcome to Missing Pieces, our weekly games wrap-up. Each week we round up the stories we found interesting, but that didn't quite make it through the dastardly news gauntlet on our site. This week is a special Valentine's Day edition, meaning absolutely nothing is different but I needed to mention it was Valentine's Day so you didn't think I'd forgotten. Okay fine, have a heart: <3. Happy now? Read on for news of free Dungeon Keeper, Flappy Bird clones, and so much more from the wonderful world of gaming. Angry about what EA did to Dungeon Keeper with that questionable, "free"-to-play ridden mobile version? Well at least you can go back and relive memories of the original. EA and GOG.com have teamed up to make the original PC version of Dungeon Keeper--an absolute classic!--free for just this weekend. Call it a Valentine's Day gift, call it a plea bargain, it's still a decent gesture. Got a copy of Batman: Arkham Origins? Encountered any bugs? Well too bad. Warner Brothers doesn't care, and will not be wasting any more time patching the bugs out of its game so you mere mortals who paid your $60 can play the game you thought you were buying. I mean, what's $60 to Warner Bros.? Chump change, that's what. 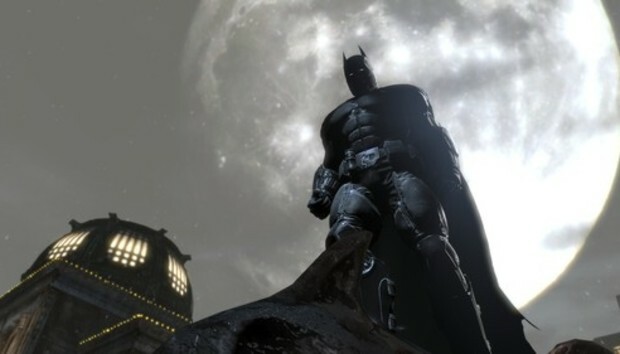 The news steams from a post on WB's forums by the Arkham Community Manager: "The team is currently working hard on the upcoming story DLC and there currently are no plans for releasing another patch to address the issues that have been reported on the forums." Yes, the team is hard at work on downloadable content to sell you instead of fixing the game you already bought. Truly heroic. Remember when Twitch.tv was just a small subsection of larger streaming site Justin.tv? Neither do most of the 45 million people using Twitch these days. And thus the company finally decided to bow to the Internet's will and rebrand the company as Twitch.tv first and foremost. It's more a symbolic gesture than anything else--but one symbolic of the immense popularity of video game streaming, especially now that the capability is built into the PlayStation 4 hardware. After Flappy Bird shut down last week, creator Dong Nguyen came out and said it was because the game was "too addictive." But these addicts evidently need their fix. This week saw the rise of dozens of clones, from Fall Out Boy (Fall Out Bird) to Sesame Street ( Flappy Bert) to online-multiplayer game FlappMMO to Oculus Rift game Floculus Bird. The Xbox One will get another firmware update before Titanfall's release on March 11. This update is largely multiplayer focused, with improvements like "Get to your friends list faster" and "Invite friends to games." In other words, basic functionality that already existed in the 360 that Microsoft is just now adding to the Xbox One. That console really came in hot, eh? Oh, and more controversy when it was revealed that Titanfallwon't run in 1080p on the Xbox One. Steam now allows people to tag games in its library with descriptions for greater discoverability purposes. Instead, people use them to abuse developers and leave derogatory comments about games. Or just post YOLO over and over again. Because Internet. Pre-orders opened for Goat Simulator, a game the Internet cried for until it got what it wanted. Which in this case means a game where you play as a goat, and you run into things. And apparently chase people with axes stuck to your goaty tongue. Hilarity ensues, as you can see, ensues. Best of luck getting into the Titanfall beta, and I'll see you back here next week for more Missing Pieces. Primary image: Adapted from an image by Sin Amigos via Flickr/ Creative Commons.